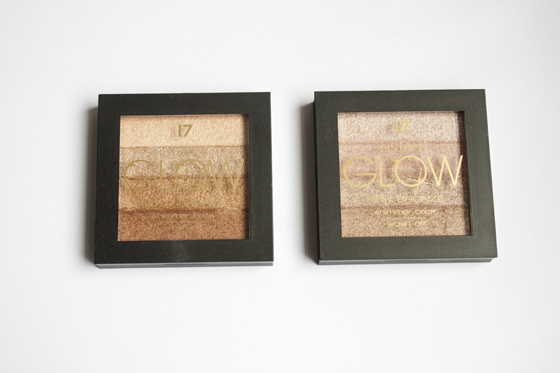 The 17 Shimmer Bricks are basically the drugstore's answer to the the infamous Bobbi Brown Shimmer Brick. The 17 Shimmer Bricks have four stripes of varying shades of pink or gold which can be used individually or swirled together to create one tone. 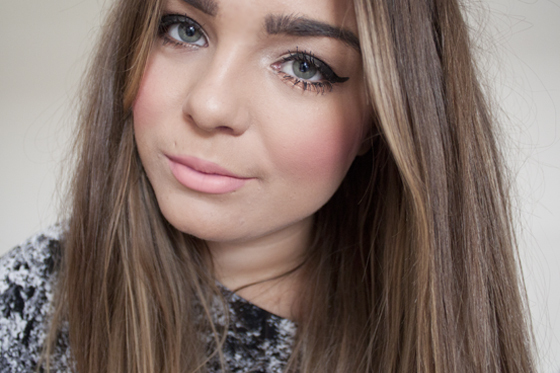 On the face the 17 Shimmer Bricks give a soft glow that doesnt emphasise pores or look ridiculously shimmery. I was concerned about the ammount of shimmer that was in this product as when swatching it looks very heavy but when applied with a brush you don't pick up as many glitter particles and it applies alot more subtle than a finger swatch. 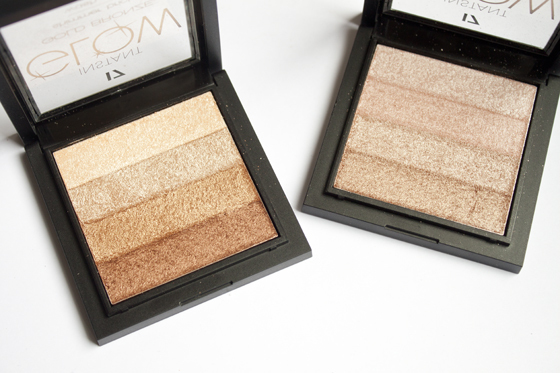 You could use the Golden Bronze as a all over bronze or just to enhance your cheekbones. I prefer using this on the eyes. 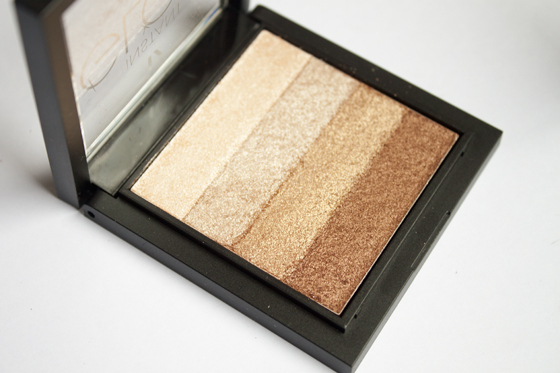 Gold Bronze as it's a perfect mix of warm bronzy shades that suit my eye colour so if your like me with bluey green eyes it's absolutely gorgeous and I highly recommend it. 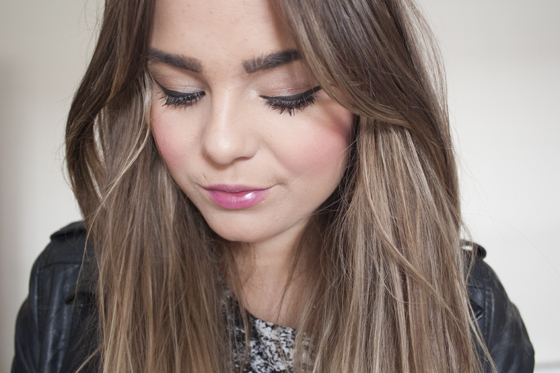 I as eyehsadows they are easy to blend and are fairly pigmented. I wouldn't say its particularly long wearing, because the powder is so soft and shimmery it does give a slight fall out and a tendency to wear off through the day, but I don't personally use primer as I find it a bit unncesscery. But Im sure they would work better on the lids with one! Overall this is a good multi purpose product that would be great for travelling. 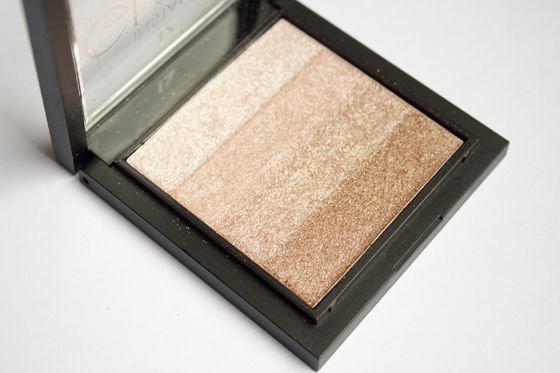 I took mine away with me on holiday and I got a fair ammount of use out of them both as they doubled up as a highlighter or bronzer and as a eyeshadow palette. I personally prefer the Golden Bronze to the Pink bronze as its more suited to my skin tone, but I think this would be a lovely product for a range of skin tones from pale to dark. Where as I think the Pink Bronze might look to ashy on darker tones or not show up too well on medium skin tones like mine.